The giveaway winner is GINA MARIE from Arizona! Thanks for entering, everyone. To celebrate the launch, I’ve teamed up with Truly Organic Foods. We’re offering up a bunch of **RECIPE KIT GIVEAWAYS** — where you can win some of the ingredients needed to make my favorite recipes from the book. 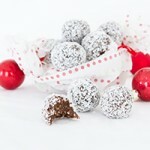 This recipe kit is for the Rum Balls recipe, found on page 17 of my Christmas Dessert Freedom Cookbook. The kit includes my cookbook, Truly Organic Foods hemp seeds, coconut nectar, coconut oil, Giddy YoYo Cacao Powder, Truly Organic Foods medjool dates. Valued over $70! 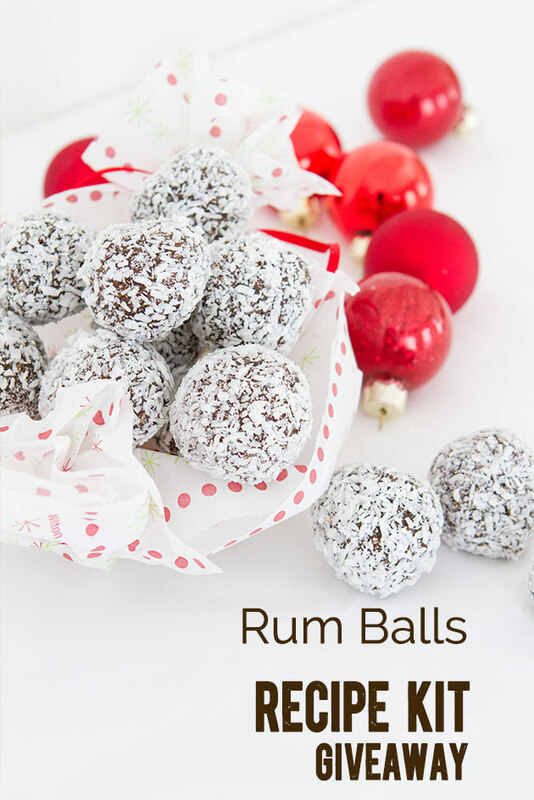 Note: here are a couple of ingredients in the Rum Balls recipe that are not included in this recipe kit. The Christmas Dessert Freedom Cookbook is no longer available, but I made a keto-friendly option called The Keto Holiday Cookbook with tons of desserts, plus appies, entrees, sides, and more! Triple your chance of winning by sharing, liking AND pinning! A winner will be randomly drawn on Tuesday November 26. The winner will be announced at the top of this post. If I don’t hear from you in 24 hours, a new winner will be drawn. Giveaway open to US and Canadian residents.